It’s time for the first FairyLoot unboxing of 2018, and it was definitely a good one! Opening a brand new box is one of my favourite times every month, but I was particularly looking forward to January’s. If you know me at all, or even just follow me on social media, then you’ll know I’m a bit lover of all things Fae (particularly the A Court of Thorns and Roses series by Sarah J. Maas). So, when I found out that the January FairyLoot theme was going to be “Talk Faerie to Me”, I guess you could say I was a little bit excited. 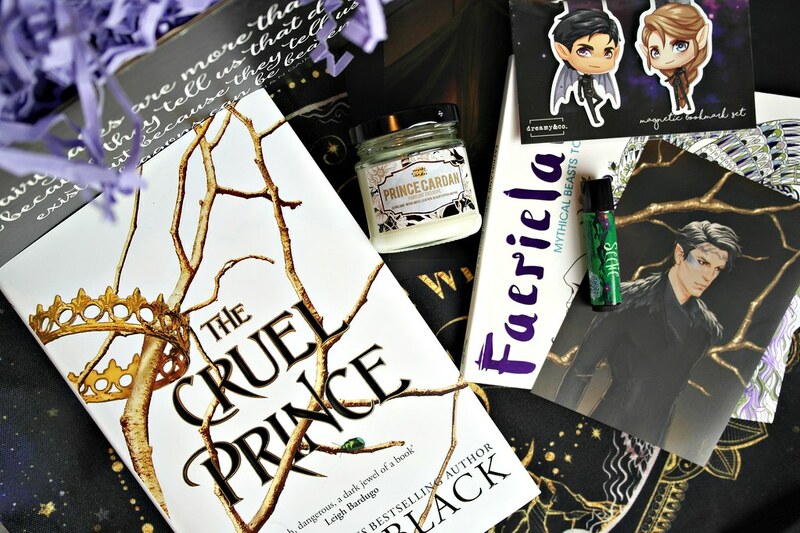 FairyLoot is a “fantasy focused monthly subscription box containing a Young Adult book and some hand selected bookish goodies” as described on their website. You can commit to six or twelve month subscriptions or if you’re fast enough, you can get your hands on their single purchase boxes! 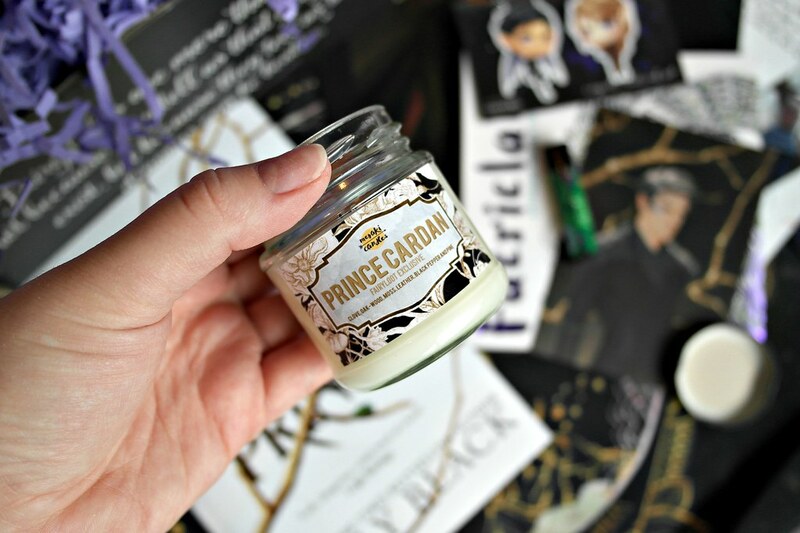 The first item that I unboxed in January was this Prince Cardan candle by Meraki Candles, which is an exclusive just for FairyLoot customers! The scents in this candle (clove, oak-wood, moss, leather, black pepper and pine) were actually hand picked by Holly Black when asked how the Prince himself would smell! This month we were also treated to a lip balm by Geeky Clean. Two options were sent out, both Seelie and Unseelie, and according to folklore I must be one of the good guys as I received the Seelie lip balm, which is typically the “light side”! Not only is the lip balm vegan and another exclusive item for the box, the Seelie balm also has a lovely apple flavour and scent, so I’m looking forward to using it. So I need to take a minute to breath here… ok. THESE BOOKMARKS. Oh my gosh! 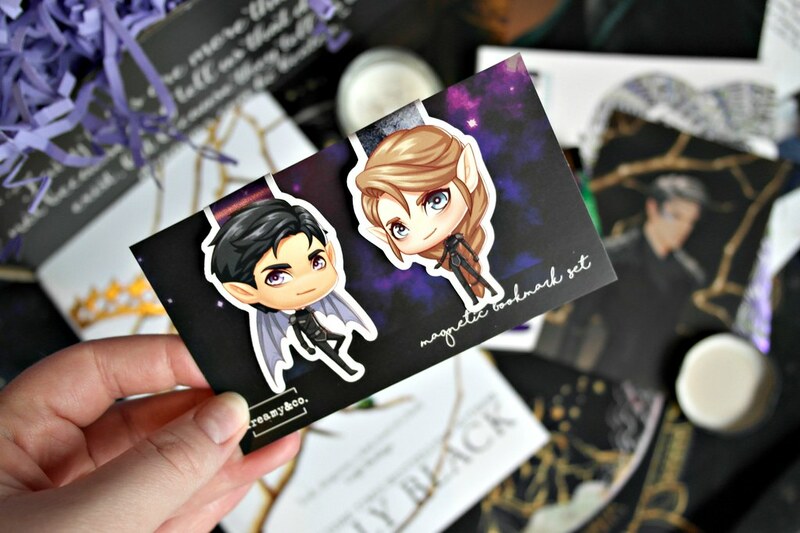 I can’t get over how amazing these Feyre and Rhysand magnetic bookmarks are. These are created exclusively for FairyLoot by Dreamy and Co and look, they’re in their Illyrian fighting leathers! As I said before, ACOTAR is my favourite book series and I just love these so much *cries*. FairyLoot are just hitting me again and again with the Sarah J. Maas merch this month and I am here. for. it. 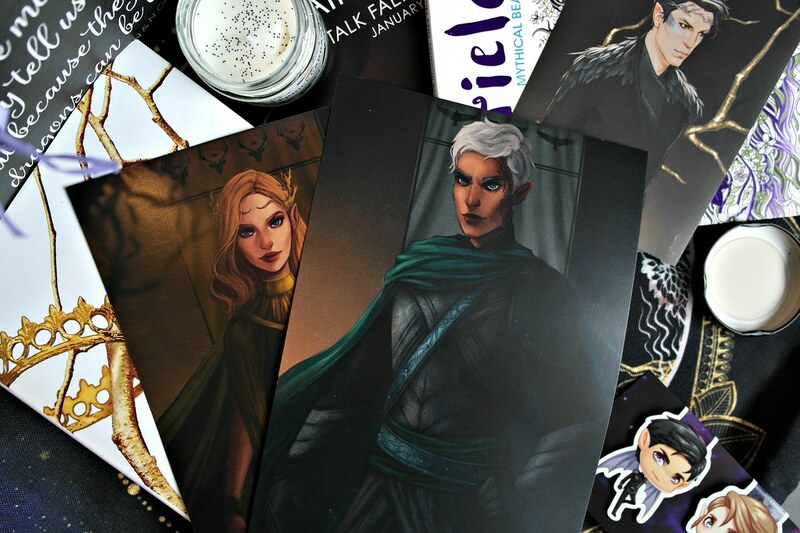 These two stunning art prints of Rowan and Aelin from the Throne of Glass series are by Diana Dworak. I seriously love these and can’t wait to frame them! If these guys aren’t for you, there are bookish quotes on the reverse side by Stella’s Bookish Art which are also lovely. We were also treated to the most beautiful pillowcase by Evie Bookish: the exclusive ‘What Breaks You’. It’s such an amazing quote from my favourite book series and I can’t wait to set it up with the rest of my ACOTAR pillows. This was another item that I pretty much squealed over! 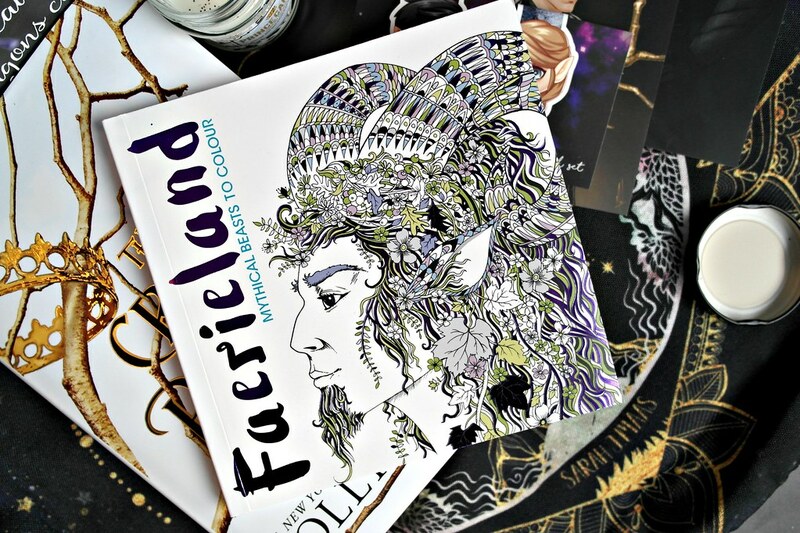 I’m pretty sure we’ve never had an item like this in a FairyLoot box, which is why I was so excited to see this exclusive Faerieland Colouring Book by Michael O’Mara! It features some amazing creatures and Fae so I can’t wait to flick through, be inspired and get creative. 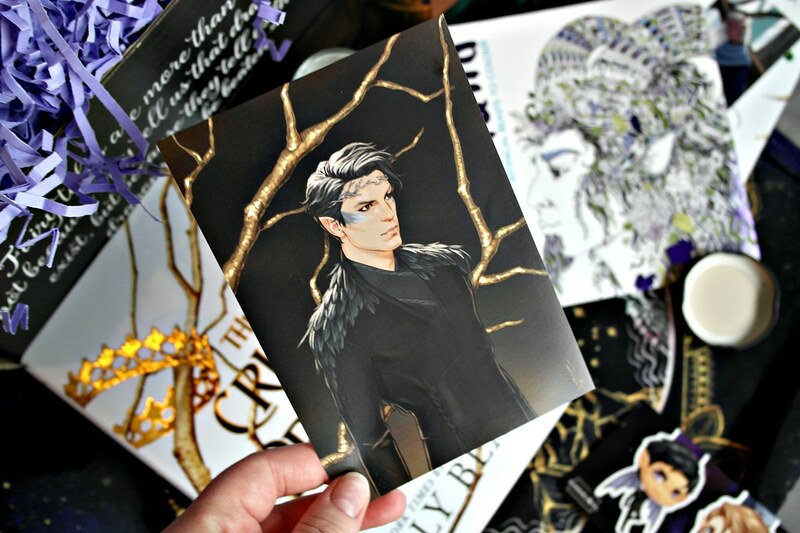 Along with the book of the month, we not only received a letter from the author and a signed book plate as usual, but this gorgeous print of Prince Cardan by Merwild! It’s amazing and while not exactly how I imagined him, I’m fully behind this look and can’t wait to add it to my collection of prints. I have to say that the January offering is one of the best boxes I’ve ever received from FairyLoot. I love each and every item and can’t wait to put them to good use. If you’ve been debating picking up a FairyLoot box, then I would advise that you definitely go ahead and do it. It’s such a gift every month and I even subscribed to put a stop to going through the monthly panic of single purchase!